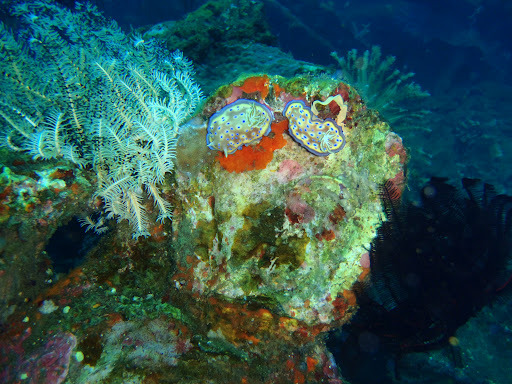 Diving season in Bali begins in April all the way till October or so I was told by my guide. 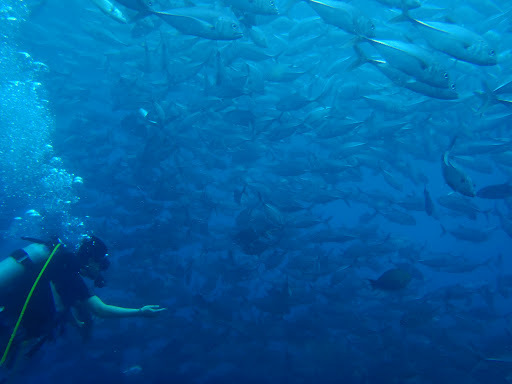 “It’s actually the low season now, as everyone comes to Bali then to see the Mola Mola (Ocean Sunfish).” said Marta. Great! Less people equals more space for me. 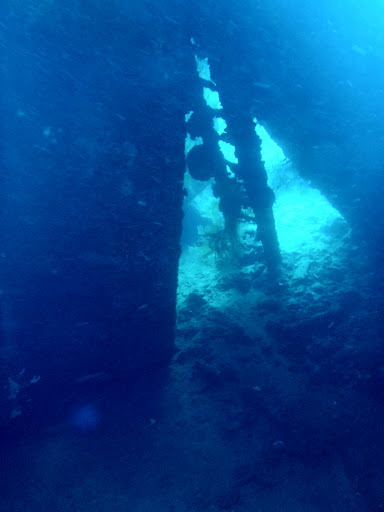 Anyway, the place I went to dive was called Tulamben, where the USS Liberty Shipwreck lies. 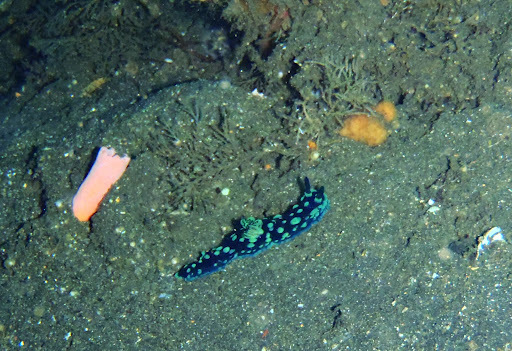 It is an easy shore dive without the need of a boat to take you out to sea. 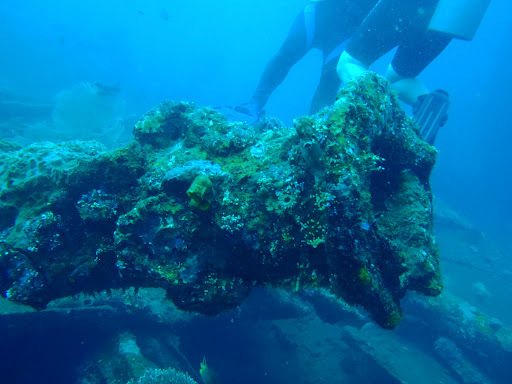 As my last dive was about a year ago and my friend’s was about 5 years back, we decided to take it slow and easy. 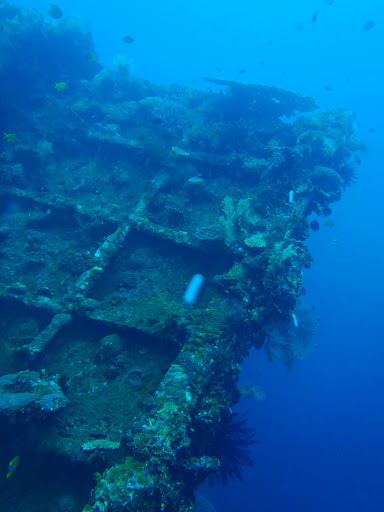 Besides, I have never done a wreck dive before. It took two hours to reach Tulamben from Sanur but I hardly felt the long journey as I was fast asleep all the way through. Upon arrival, the weather was promising although there were signs of cloudiness not too far away. 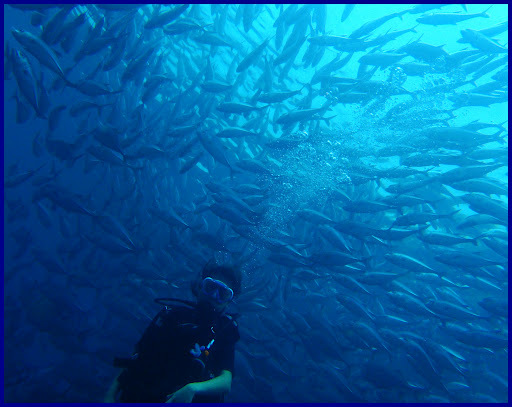 Marta explained to us the diving conditions and what to expect. I can remember in my mind that all I hoped for was my buoyancy to be okie as Marta would be looking after my other friend most of the time , so I had to be independent. Turns out it was better than I expected. Albeit the occasional confused turn, I managed to be at a consistent level most of the time. Looking at Marta holding my friend’s hand, I remember how I was once.” Like someone holding a balloon.” someone once commented. Glad I am not that balloon anymore. 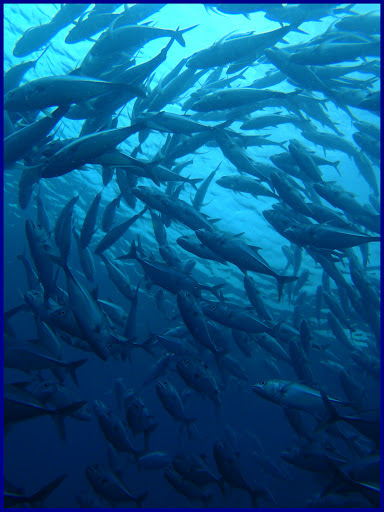 As we went deeper, I saw a huge school of Jack fish swimming in around and around in circles. It was quite a sight to behold. 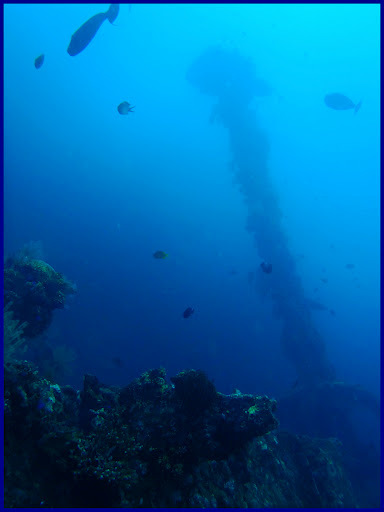 Shortly after, the Liberty Wreck slowly came to visibility. 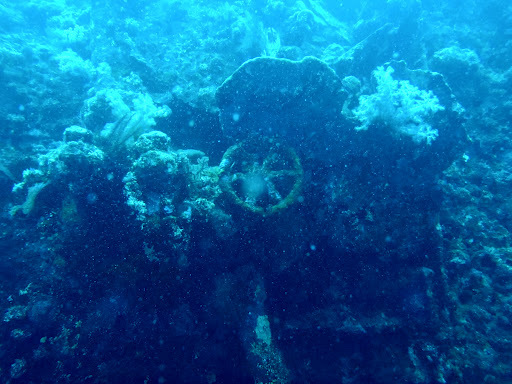 As I explored, evidence of what was once a magnificent ship in her time came to light. 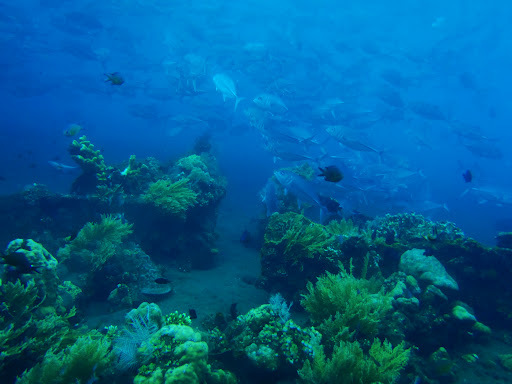 Now beautifully covered in corals and teeming with sea life, it was wonderfully preserved in the ways of the sea. Words cannot explain the tranquil feeling I got when observing the creatures going about their ways. 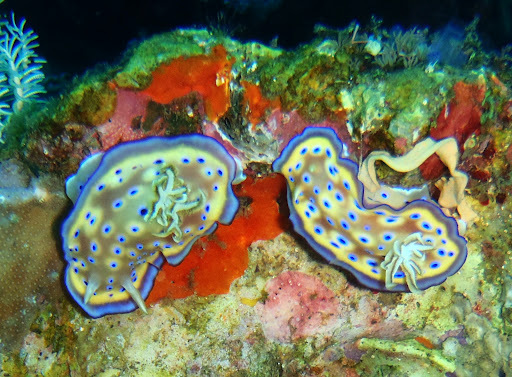 To the left was a school of clown fish in their anemone home, to the right was a pair of nudibranch sitting pretty on a coral. 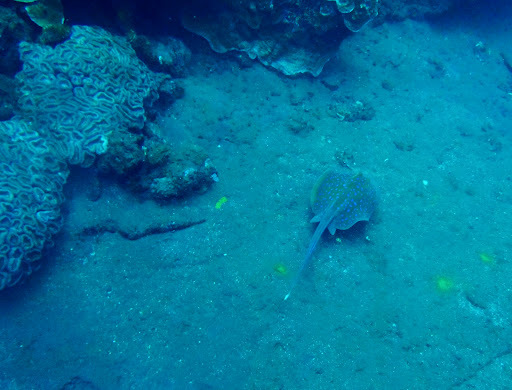 Fish darting in and out at every corner, a blue spotted sting ray lying on the sea bed. 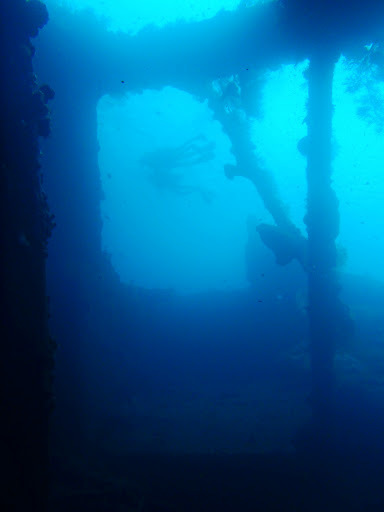 These were all taken from the two dives that I did, when I resurfaced after the first dive, it started raining. After disassembling our equipment and changing tanks, it was time for lunch. 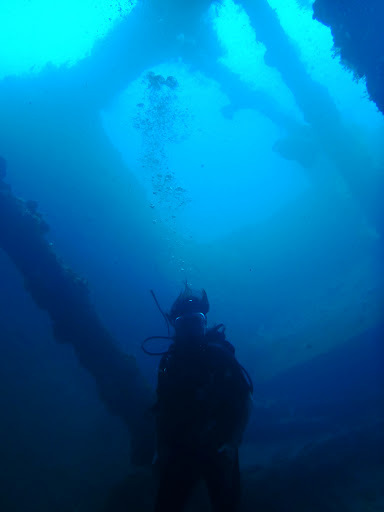 About an hour later, I got suited up and went for the second dive. It had stopped raining by then. 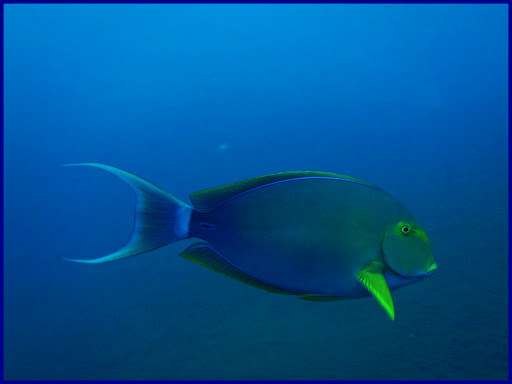 I must say God is good to let me enjoy my dives with rain falling only in between rests. 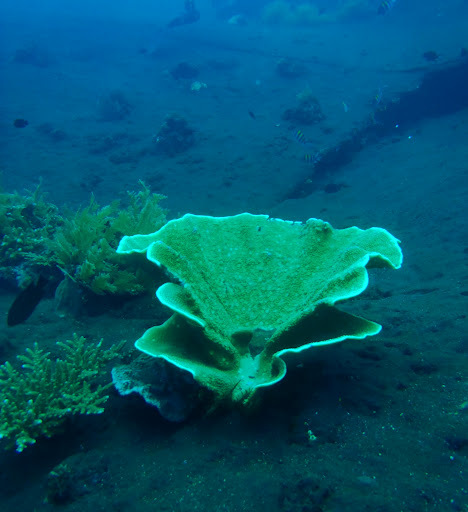 As we drove back to Sanur, I was already planning another dive trip in my mind.